FOR THE LOVE OF CHRIST, DO SOMETHING! Once again it is a joy to sit down at my computer with the goal of putting together some clusters of letters, i.e., words, that will enlighten you, inspire you, and, most of all, touch your heart with some of the heart of our Lord Jesus Christ. Having had the great privilege this summer to share the Word in 20 cities in 8 states, it never ceases to amaze me how God endued His words with the power to change the hearts of men and women. In that vein, I recently read about, and identified with, the renowned 19th century Christian minister, Charles Spurgeon, who was often overwhelmed by the responsibility of preaching the Bible. It wasn’t just the task of giving the meaning of the words on the pages, which anyone who knows them can do. The real minister’s challenge is to first align his own heart with the Lord Jesus and live the truth (1 Thess. 2:3-8). Then he must follow the Lord’s leading “off the page,” so to speak, and to walk boldly into peoples’ hearts of need and misconception to motivate them to think and act in more godly ways. What distinguishes a true minister of the Gospel from those more or less going through the motions is the ability to take the truth of the written Word off the page and into the hearts of the listeners, because that is where the battle of holiness applied is won. That was my goal each night this summer. And, of course, the subject of the written Word is the living Word, Jesus Christ, who, after all, is the truest minister, and the one who changes willing hearts when the Word is preached. Night after night, with extremely varied audiences, I found myself doing exactly what the believers in Acts did to turn the world upside down: “…preaching the good news about Jesus and the resurrection” (Acts 17:18). Given that the majority of my listeners were already Christians, I enthusiastically emphasized how vital it is to do what 1 Pet. 3:15 (properly translated) says: “…sanctify the Christ as Lord in your hearts…” The Greek word for “sanctify” means to set apart, that is, to give Jesus Christ the place of absolute prominence in your life. Making him your greatest love is the lynchpin of your Christian life. Jesus Christ MUST BE your treasure of treasures, because, as he said, “…where your treasure is, there your heart will be also” (Matt. 6:21). You and I are motivated, i.e., moved to action, by what we care about most deeply. In this evil world, only a burning passion to know and love Jesus Christ will sustain you in the battle against sin, beginning in your own heart. Jesus Christ came to re-order our lives, and to do that he must be allowed to re-order our loves. For the record, and because I think I said this in every city and don’t want you to miss out on it if you weren’t there, the reason why JESUS is so prominent in Acts and the Church Epistles is because he is the only valid image of the invisible God (2 Cor. 4:4; Col. 1:15). If, when you hear the word “God,” the image of Jesus does not instantly come to mind, your image of God is way too vague. Scripture makes it clear that God looks like Jesus (“…Anyone who has seen me has seen the Father…”). And if you want to effectively spread the Good News, here’s a tip: STOP TALKING TO PEOPLE ABOUT “GOD.” Please take that admonition with the block of salt I assume you will, and keep reading. Here are four reasons why: (1) The brethren in Acts primarily preached JESUS, and his resurrection. (2) Assuming that the person you are talking to does not know the Word of God, he has no idea what you are talking about. And while you are talking about “God,” he is either making up an image (like Morgan Freeman) or believing someone else’s made-up image. (3) The majority of people are MAD AT GOD, so you are in a hole to start with. But not too many are mad at Jesus, are they? In fact, most folks would say, “I’ve heard of him; he was a good guy who was shafted by the government. I can identify.” By the way, here’s an excellent question to ask someone who is blaming God for some tragedy: “Can you picture Jesus doing that to you?” (4) The concept of “God” does not bring people to a decision like JESUS CHRIST does. “God” is almost politically correct, but JESUS is the krisis of life for each man and woman. It is HE who separates people into Yes or No, truth or untruth, wheat or chaff, sheep or goats, alive or dead. Ephesians 5:1 imperatively tells us to be imitators of God. Fat chance. Think about it: how on earth are we to imitate someone who is INVISIBLE, and thus inconceivable? Not to worry, keep reading, because verse 2 says we can do that by loving “as Christ loved.” Paul commended the Thessalonians for becoming “…imitators of us, and of the Lord…” (1 Thess. 1:6). Do you know what it takes to impersonate someone, like Frank Caliendo does? It requires hours of intensely studying the person’s voice, face, movements, and mannerisms—and then many more hours practicing them, that is, consciously changing the way you are into the way they are. We can study Jesus’ commitment, love, attitude, compassion, mercy, and forgiveness, and make those traits our own. So how do you and I become “impersonators” of Jesus Christ? I suggest this formula: First, sanctify him in your heart. Next, ask him to help you know him, love him, serve him. Next, pore over the Four Gospels to see how he dealt with fallen people from the best to the worst. Then, extract what you can from every use of the word “Lord” in the Church Epistles, as each one refers to Jesus (never to God—Acts 2:36). Finally, watch and learn from those whose way of life in Christ Jesus…agrees with what they teach everywhere in every church (1 Cor. 4:16 and 17). I believe this is what Romans 13:14 means when it encourages us to:“Rather, clothe yourselves with the Lord Jesus Christ, and do not think about how to gratify the desires of the sinful nature.” 1 Peter 4:1 says we are to arm ourselves with the same mind as Jesus had. We are to re-order our priorities, that is, what is most important to us. In that vein, I recently read “Developing a Christian Mind,” a paper presented by David Naugle to the Wilberforce Forum Centurions Conference in 2005, and want to take the rest of this letter to share with you some of what made an impact on me, and the thoughts it generated in my mind. Look again at Romans 13:14 above in regard to the battle raging within each of us to “…gratify the desires of the sinful nature.” Naugle asserts that the “seven deadly sins” are the result of misdirected affections. At their roots, pride, envy, anger, sloth, greed, gluttony, and lust are about excessive love of SELF at the expense of love for the Lord Jesus. That is, “Not thy will, but mine be done.” Diametrically opposed to that are the 16 characteristics of agape love set forth in 1 Corinthians 13:4-8a (see Bible). Think about the person you love most in the world, and what it feels like, what it does for you, to love someone to the extent that you would lay down your life for him/her. Clearly, when we truly love others, we most greatly benefit ourselves. In my teaching, “God’s Hopes and Heartaches”, I talk about the emotions of Jesus Christ as exemplifying the heart and emotions of God. Jesus was the “man of sorrows” who was motivated by “the joy set before him,” a balance we must find if we are to “endure our crosses.” Perhaps the key Greek words that most clearly reveal the heart of Christ are the noun, splanchna (sounds like a bug hitting your windshield at 65 mph), and its corresponding verb, splachnizomai (which is what it sounds like to the bug). (33) When Jesus saw her weeping, and the Jews who had come along with her also weeping, he was deeply moved in spirit and troubled. (34) “Where have you laid him?” he asked. “Come and see, Lord,” they replied. (38) Jesus, once more deeply moved, came to the tomb. The spectacle of the distress of Mary and her companions enraged Jesus because it brought poignantly home to his consciousness the evil of death, its unnaturalness, its “violent tyranny.” In Mary’s grief, he contemplates…the general misery of the whole human race and burns with rage against the oppressor of men. Inextinguishable fury seizes upon him; his whole being is discomposed and perturbed…It is death that is the object of his wrath, and behind death him who has the power of death, and whom he has come into the world to destroy. What this episode shows is that good deeds and merciful works are not just the products of compassion and love, but also of righteous anger and holy rage, holy rage and righteous anger at the vandalism of shalom [God’s original order of things]. The man or woman who cannot be justly angry cannot be merciful and do good deeds that restore shalom! I would submit to you, then, that intense anger at the loss of shalom is a crucial component of a Christian mind. It will be this anger, coupled with our love and compassion, that empowers us to good deeds and merciful works by which we too raise things from the dead, unbind them, and let them go! Among Christians today, there is far too much dichotomy between “faith” and works. Too often, people’s deeds don’t match their words. Had Jesus had a motto, it might have been: “DON’T JUST STAND THERE; DO SOMETHING!” As Christians, we are to follow suit. We must make our faith relevant to life, and living truth leads to revolution, not resignation. Our lives are to exemplify a connective progression of knowing — loving — doing; belief — affection — behavior; conviction — compassion — conduct (see Matt. 7:24-26; John 13:17; James 1:22; 1 John 4:20 and 21). As Galatians 5:6 states, the only thing that counts is faith energized by love. I love, therefore I do. As Christians, we are ONE BODY, and Scripture offers plenty of verses about our interdependence with one another. If one member is out of alignment, the whole Body is hurting. The more real our love for our Lord Jesus, the more deeply we love our brethren, and one way we do so is by standing with them in their commitment to follow Christ. 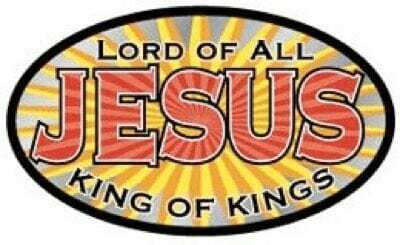 Think about it: each Christian has made a commitment that “Jesus is BOSS (kurios=Lord),” which means that we have promised to follow him and do our best to become like him. To do so, we “need a little help from our friends.” My responsibility to you is to support your commitment to Jesus, and the Word makes clear that one way I am to do that is by letting you know when (and how) it looks as if you are not doing what the Lord would want you to do. Whoa, that’s risky. Yes it is, because you might rebuff me in no uncertain terms, and perhaps even sever our relationship. Sad to say that in this fallen world, such a risk goes with the territory, so to speak. As 1 Thessalonians 2:4 (ASV) says: “but even as we have been approved of God to be intrusted with the gospel, so we speak; not as pleasing men, but God who proveth our hearts.” I think that my responsibility to each person in my world can be summed up as follows: I am to give each person the best chance to do what is right, for their benefit (cp. Lam. 2:14). Can you say “Ditto”? Sure you can. Sometimes that means we have to “reprove, rebuke, exhort” (2 Tim. 4:2 – KJV), and we also must be open to receiving the same. Neither is fun, but the good news is…drum roll…If you really want to be right (with God), you love to find out you’re wrong. Well, maybe not at first, but think about it. You leave New York for a glorious vacation at Florida’s Disney World. After a while you see a sign saying: “Denver, 100 miles [160 kilometers].” If you have Psalm 141:5 tattooed over your heart, you are ecstatic (doesn’t that make you wonder what it says?). If not, you are initially furious. But if you allow that anger to stop you from heeding the sign, you will soon see another sign: “San Francisco, 100 miles [160 kilometers],” and then you will be even more furious. On the other hand, if you turn around (repent) and go in the right direction, you will get to where you really want to go! Our Lord Jesus has a most personal curriculum for each of us, and he longs to guide us through it day by day. He is passionate about intimacy with you and me, so that we can vividly re-present him to a dying world and pull as many people from the fire as we can. Today you can show the world the living Christ in you. As he helps you stand for him in each situation, he also chalks it up in the “CAN’T WAIT TO REWARD HIM FOR THAT” column on your “rap sheet.” He is even more eager than we are for the glorious day when he gathers us to meet him in the air and honors us with his approbation. Until then, let us stand shoulder-to-shoulder and keep on truthing it.